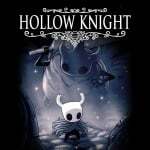 If there's one indie game that is more deserving of a physical release than any other, it's probably Hollow Knight. Following the game's successful digital debut on the Switch and multiple other platforms, the talented people at Team Cherry released a number of free content packs for the title. The cherry on top was the announcement a physical edition was also on the way, thanks to Skybound Games. 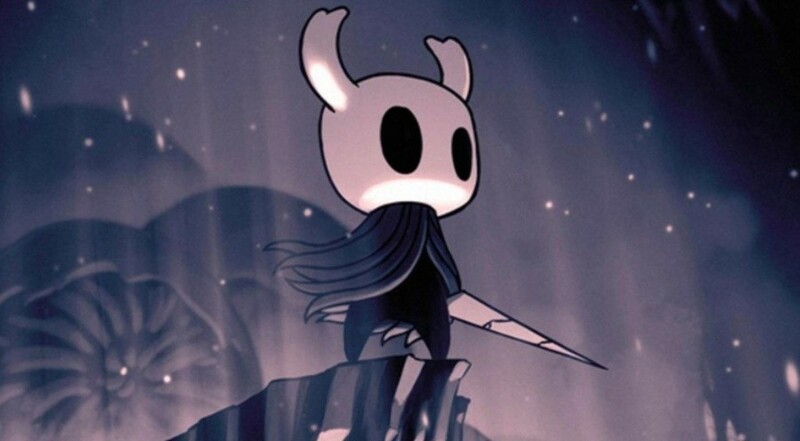 Unfortunately, last November, the physical release was then cancelled, with Skybound issuing a tweet saying how "saddened" it was it would no longer be releasing Hollow Knight in this form. Team Cherry added to this, explaining how it would continue to investigate other ways to make a physical version of its title a reality, but it would likely be a smaller release. It now looks as if the developer has sorted things out, as the ESRB has given Hollow Knight an E10+ rating. As noted by NintendoSoup, ESRB ratings do not apply to digital releases and usually indicate a physical release is close by. Are you glad to hear a physical release is likely on the way? Did you download this game from the eShop when it was released? Tell us below. Yes getting it day one if true. Not good news for my wallet. Nifty! Glad I held off. Best digital only purchase I ever made. The game is an incredible work of art. 2nd only to Zelda in Switch. Overrated game that's hard just for the sake of being hard with a convoluted story to boot. I really can't get into this game. I don't get the love for it at all. I wonder how they’ll compensate for the markup? Last time they had the plush toys but now I have no clue. Anyway, this is great for physical only guys. Easily one of the best Metroidvanias and an amazing game overall. I'll preorder that! Love this game and would love to support the creators even more! Might get it to never open it. Such a great game. @personauser0893 The artstyle is absolutely beautiful! I gotta give it that. @personauser0893 @AlternateButtons Am in the same boat. But more power to those that do like it. So glad I held off! I nearly caved and went digital when Team Cherry cancelled their physical version, but it might actually be happening! Like many here, I held off waiting for a physical release. I've come to realize that most of the big indie titles will get a retail release or someone like Super Rare or Limited Run will release it. I've got Undertale, Golfstory, and Celeste so far as examples. Will happily add Hollow Knight when it comes out. Bought digital. Will buy physical. The creators deserve it. Monster Boy is more fun than this game. Yay! It's a fantastic game. I love the artstyle and atmosphere. The only thing I didnt like were a few frustratingly difficult boss fights, but an overall brilliant game. Will be buying this physical version for sure. One of my top 10 games on Switch. Bought it digital, will get it physical just cuz it's so damn good. The path of Pain getting completed was one of my all time fave moments that year lol!! The tagline for this article makes me think the writer has watched Futurama quite a bit. Oh, digital games don't get ESRB ratings, you say? Game is one of those rare masterpieces. I can’t wait for a physical copy to add to the shelf. Cool for those who enjoy the game! 10+.. That probably explains the concerns of my six year old son's teacher when he was telling her about his favourite game where you hit monsters with a sword and steal their souls. I just hope Limited Run Games keep their hands off this one! Awesome! Finally I'll play this. Well, too little too late for me. After the announcement cancelling the announcement there would be one (which made me pass on the digital sale back then) I got it digitally at the next sale, and I won't be double dipping anymore. @Geobros I think Team Cherry cancelling the previous release is a good sign that they want to do it properly. I’ll be buying it a second time. @AlternateButtons The same. I don't understand why this is so incredible game?! Judging from the art, story, etc I would prefer the new Strider from Capcom, Steamworld Dig 2, Owlboy (even if it's not a Metroidvania game), The Mummy Demastered and of course Dust an Elysian Tale. I bet those vultures at Limited Run Games get their greedy mitts on it. I hadn't noticed that ESRB ratings don't apply to digital releases. Why is this? Doesn't that render the entire rating system pointless, considering the prominence of digital sales? @subpopz It's some kind of loop hole where the cartridges are physically in the country so they need to follow the laws but digital is nowhere....or not in one place so a rating doesn't stick to it? It's something that should be fixed because digital is only growing. Waaah, I would have held off on buying the digital in sale if I'd known this was happening. If it happens. There's still no proof. Still I've had some reasonable low grade fun playing the game. My only complaint is that the game has no difficulty levels so I haven't got very far in the game. If the physical introduces difficulty levels I'll consider it. My bigger question is: Why no Hollow Knight amiibo? They would be awesome and would sell like hot cakes funding a physical release. I already own it, and will gladly buy it again so as to keep a copy indefinitely. @Lionyone I would kill or die for Hollow Knight amibos. @Nintendofan83 And if the big 3rd parties (EA, Ubisoft, Activision, etc.) get their way there'll be a time in the future where physical games don't exist. @Grumblevolcano I take comfort from the fact that physical books have had a resurgence from ebooks and hope the same thing will happen with console games. If I'm buying a book or game I want my children to be able to inherit it. Too late for me. When I read about the cancellation I bought it digital on Xbox One for really small change. This was my game of the year last year (even though I think it launched on other platforms in 2017). It was one of the only games I feel I under paid for when I competed it....$15 is a steal for this game and when you throw in all of the free DLC it’s almost like stealing. I actually have mixed feelings about the game. I like it but i get pretty frustrated some times with the difficulty. Definitely no where near the frustration I get with dark souls but it's pretty close. My only problem is i cant dedicate 70+hours to it. I chip away at it every now but I'm no where near as enamoured by it as other people. The price though is worth every penny as i got it for $10 in a sale. Worst news ever for me. If it gets an ESRB rating it means the physical release will more than likely be handled by Limited Run which means not only it'll be €10 more than on the eShop, but shipping will be prohibitive and then that's hfty customs taxes to add on top, all because they can't release it in Europe. Guess that means I'll never play it. Love this game. Could use one more pass at smoothing out the difficulty curve and helping players who want to concentrate on the main story progress. Then, they could avoid beating their heads against some super-difficult parts that are really targeted at those looking for hard challenges and not even necessary to play. So great, though, and the focus on requiring the player skill up to progress is something I wouldn't want to go away. @Nintendofan83 @subpopz Not really a loophole, because games don't legally need an ESRB rating. The ESRB rating is almost purely self-regulation, not legal, and it was only really made necessary by retail stores refusing to carry unrated games. Since digital games don't need to go through a retailer, it's pretty much up to the digital platform owners as to whether they allow games not rated by the ESRB. @subpopz IIRC - in the US having a game rated is entirely voluntary anyway. Granted, most retailers will only sell rated games, but it's not legally required like it is in many countries, Australia included. @DrWadsy lol don't take it too hard. It's not a big deal. Well I have the game digitally but haven't played it yet. Guess I need to see what the fuss is all about. @AlternateButtons Funny you'd say that when the main complaint of a lot of reviews is that it isn't difficult ENOUGH. I don't think the story is that hard to follow though, at least not if you're paying attention. @Syndiciate Really? Because I'd put its difficulty on par with Dark Souls. And with the annoying knockback and unfair screenshake, it makes the game incredibly hard to play for me. The story is too cryptic with details of things being hidden behind item descriptions and lore bits. It's not a form of storytelling I enjoy. I'm definitely in the minority, I know. It's just not the game for me. oh boy I can finally shave this massive beard I grew waiting for it! @AlternateButtons The knock back actually helps you in a lot of fights since, even without range charms equipped, the knock back will create a decent amount of distance between you and the target you're attacking and give you a little extra time to react to an attack from them. It's just a matter of getting used to the mechanic and adjusting your movements accordingly though, if that proves too difficult, you can always equip the 1 notch charm "Steady Body" that eliminates knock back entirely. Not sure what you mean when you referenced screen shake though. Understandable, I just wanted to clarify that it wasn't the story itself that you found convoluted, only the manner in which you find out about it. @AlternateButtons because it is hard? Games aren't suppose to be easy. @Dirty0814 You're right. Games are supposed to have a flexible difficulty that ramps up steadily and gives the player a fighting chance before becoming difficult. Hollow Knight breaks that rule clean in half and loads the player with unforgiving difficulty from the start. Games aren't supposed to be unnecessarily hard either. @AlternateButtons Games aren't "supposed" to be anything. Difficulty is a subjective term since challenges will always be more difficult for some then they are for others. Even going by the majority opinion though, most people don't find beginning bosses like Gruz Mother or the False Knight to be "unforgivingly difficult." @Syndiciate If a game is not balanced then its not fun. @AlternateButtons Sometimes, but what does that have to do with how difficult you found Hollow Knight to be? Balance in game design references the effectiveness of a game's systems in relation to its peers, not difficulty.